WELCOME TO THE NEW YEAR! Free, Spring Semester 2019 events are now on offer. Check them out and register: https://buffalostate.co1.qualtrics.com/jfe/form/SV_3OuBjRA2JVyWLLT.  You may also contact Jude Jayatilleke, Membership Specialist, at jayatijm@buffalostate.edu about Spring Semester 2019 Events. Full-time Academics -- contact VP for Academics, Lisa Marie Anselmi at 716/878-6520 or anselmlm@buffalostate.edu; or Grievance Officer for Academics, Steve Pendleton at pendlems@buffalostate.edu . Full-time Professionals -- contact VP for Professionals, Deborah Jones at 716/878-5713 or jonesd@buffalostate.edu; or Grievance Officer for Professionals, Josie Adamo at adamojp@buffalostate.edu . Part-timers -- contact Officer for Contingents, Ramona Santa Maria at santamrr@buffalostate.edu . Our Chapter President is Dean Reinhart at 716/878-5732 or reinhadj@buffalostate.edu . Regarding benefits information, you may always phone statewide UUP at 1-800-342-4206. Also, visit www.uupinfo.org and https://uup.buffalostate.edu/ for info. United University Professions is the union representing nearly 30,000 academic and professional faculty on 29 state-operated State University of New York campuses, plus Central Administration, Empire State College, and the New York State Theatre Institute. The women and men who make up UUP educate the next generation of workers and leaders. They also engage in groundbreaking research and provide invaluable service to their communities.